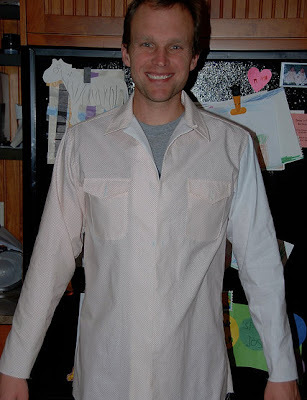 male pattern boldness: Men's Shirt Sew-Along 18 -- So Long, Sew-Along + The Men of Negroni! Would you believe that the shirt above, sewn by Dan from Down Under, is the first garment he has ever sewn? Or so he claims -- I'm having my staff do some undercover research, so Dan may be getting unexpected home visits today from Fuller Brush men, Avon ladies, and a social worker from the local child welfare agency. Seriously though, what an amazing garment Dan's made -- and this is just the muslin. You can be sure I'll be posting his final shirt, made entirely from his recycled Y-front briefs. Remarkable! 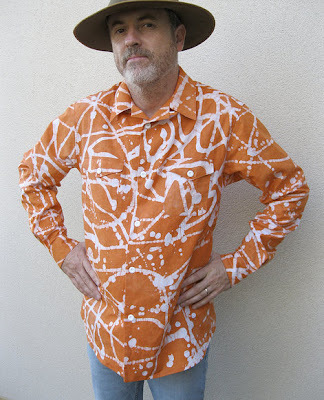 Here's another muslin-to-die-for, created in hand-dyed batik by yet another Aussie sewist, Thornberry. Is this not remarkable? It's like a wearable Jackson Pollack -- gorgeous! Portland, Oregon's own Caitlin created this lovely gray Negroni for hirsute hubby Patrick. What a great job and you should see the constrasting inner cuffs. Friends, this is just the tip of the iceberg. Final shirts are coming in daily and will continue to do so for some time, especially with some healthy nagging on my part. Let's go, people! 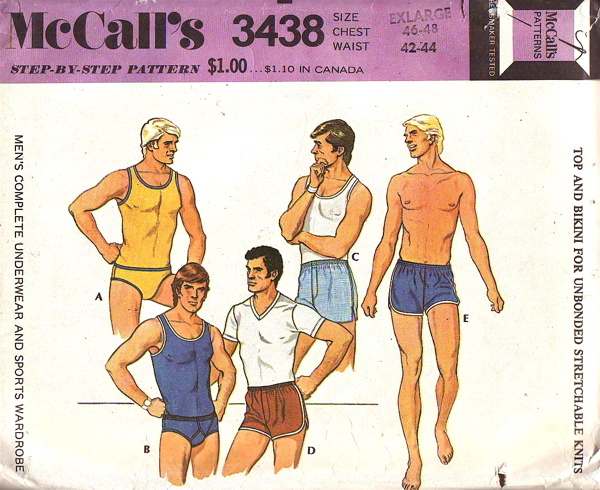 Please visit our Flickr group for pics of more great garments and the hunky he-men who wear them. Ladies, I know your men are often shy in front of a camera, but please do whatever it takes to get them dressed and photo archived. Do it for the shirt makers of tomorrow. Here's a secret: I may actually add pockets to Negroni 3 later today; I feel left out. In closing, Sew-Alongers, if you keep sewing, I'll keep posting highlights. Shirt-related questions, as always, can continue to be posted in our Flickr group, and I'll keep reading and responding. Thanks to everybody who participated -- what a great bunch you are! So...what shall we sew-along next? Anyone up for Y-front briefs? Really spectacular work. So many should be so proud. wow, those ARE some hunks! Now I really feel like I need to get my own hunk's shirt done. what a slacker I've been! I love that hand dyed batik muslin. Just awesome! Well done everyone, but especially you Peter for facilitating a great tutorial! You should be very proud of yourself that you are seeing results like this. Looking forward to seeing more. All fab, but I am really digging the dude in batik. Nice shirt and nice looking guy. Thanks for hosting, it was super fun. Sewing can be isolating some times I love getting to sew "with" other peeps! HUGS!! Props to Dan! That's an amazing first effort. Can't wait to see all the great shirts. Even though I don't want to make one, I sure do want to look at all the gorgeous work of others. yes! Y front brief sew along please! i make my husband boxers but my boys have not and do not want to wear boxers. i have so many t-shirts set aside for just such a project. Thanks for the sew-along. My son might be home this weekend so maybe I can continue on the muslin. I'm not interested in sewing my son some briefs but would like to learn how to sew long-sleeve t-shirts for him without a serger. How about a Pants sew along next? I love marmalade AND sequins! The beauty of underwear is that they don't require flat-felled seams. Oh, I am honored to have my shirt (and husband) featured :) I should really get down to sewing my official Negroni before I lose all momentum! 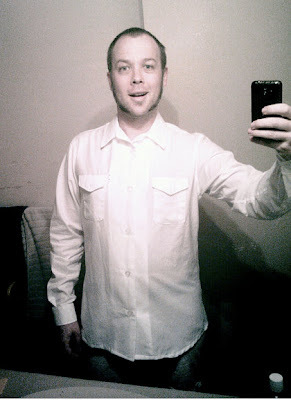 i was daunted by the complexity of the shirt for my first sew along. On the very day you close off the sewalong my fabric and pattern arrive! I shall whip up a super fast muslin and post to flickr, please don't forget those who had good intentions but fell along the way for reasons outside of their control! Thanks so much for doing the sewalong, I got some fabulous information that will surely help me make one damned fine shirt. Thornberry's shirt is one of the most fabulous home sewn garments I've ever seen. They all look great! I plan to sew up my first Negroni for my husband this weekend. Oh wow, thanks so much for featuring hubby in his shirt - he's embarassed but secretly very pleased by the lovely comments too! Thanks to you Peter for running the sewalong and inspiring me to make something for the only male in the house. Fantastic job guys!!! I love Thornberry's orange batik! Thank you so much Peter for setting up the sew- along, and thank you to all the participants who posted to the group. I've learned heaps from looking on at all your fabulous garments. Those all look great. Mine are both done except for buttons and string clipping hopefully I'll get them up in the group soon. I'm blushing. And also locking all the doors. Hi Peter, sorry to join the party so late! I have just started my first real sewing project inspired by your posts here. Wanting to teach my daughter some life skills I plumped for sewing first. I am a complete newbie, having only taken up sewing 4 weeks ago at the age of 54. I was trying to follow the Negroni instructions, but not knowing a placket from a facing had a number of difficulties! I managed to get my facings and yoke on reversed on the faces so that my interfacing was exposed when I turned the facing in, then I placed the sleeve plackets on the wrong sleeves, and to fit the sleeves will have to have the plackets on the top of the sleeve rather than the bottom! I have learned so much so far, and one of the biggest things is not to take short cuts and if I don't understand something to get on here and ask! I really want to wear my Muslin, and will do so even If I have to wear it under a sweater and with short sleeves! I feel so proud of what I have done with your assistance and will make good on the next shirt! Instead of debugging the issue, I would like to use a commercial pattern. 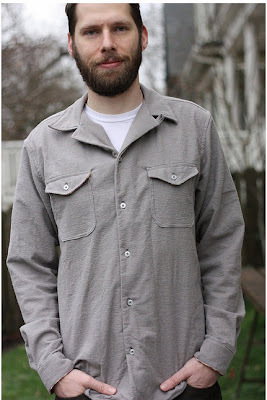 Can you suggest a classic, trim fit pqttern with standing collar for a tall guy (37", 16")? You can try Vogue 8759, which is in-print. Or you can choose a vintage pattern on Etsy. You are going to have to make some adjustments; your chest size would normally correspond to a smaller neck size. And perhaps for your height too. But I think it will be easier to work from a true pattern. Thanks Peter, I will look those up. I actually went ahead an reduced the yoke seams a bit to take the two inches out. Now the first shirt seems to fit quite ok. The cause was probably cutting with wrong allowances.